Your feet carry you through the day’s activities, so even minor foot pain can affect your entire life. 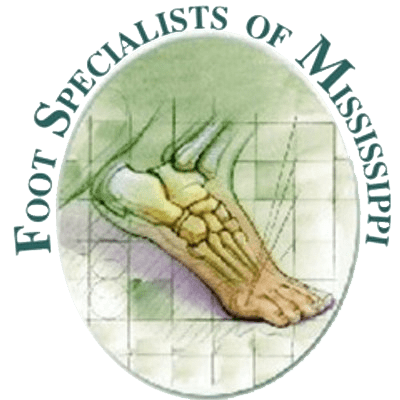 Expert podiatrists Vern Christensen, DPM, MPA and Jeffery VanYperen, Jr., DPM, diagnose and treat the cause of your pain to get you back in action at Foot Specialists of Mississippi in Amory, Mississippi. If foot pain is affecting your quality of life, call or book an appointment online today. Dr. Christensen or Dr. VanYperen work with you to discover the cause of your particular foot pain and develop a personalized treatment plan to relieve your pain and restore normal function as soon as possible. When should I see a podiatrist for foot pain? Foot pain that’s caused by injury or overuse often responds well to home care methods such as rest, ice, and over-the-counter anti-inflammatory medications. Seek immediate medical attention if you have extreme pain, swelling, or signs of infection such as redness, pus, or a fever. You should also seek emergency care if you injured yourself and are unable to bear weight on your foot. How do you diagnose and treat foot pain? First, Dr. Christensen or Dr. VanYperen perform a comprehensive physical exam and review your medical history. They may take imaging tests, such as an X-ray or MRI, to evaluate the structure of your foot. Some conditions, such as neuromas, may require surgery. Dr. Christensen or Dr. VanYperen may also recommend surgery if your foot pain doesn’t improve with conservative treatments. If you suffer from foot pain, call Foot Specialists of Mississippi or book an appointment online today.